Earn Substantial Recurring Income by Providing our Unique Market-Insight-in-a-Box Subscription to Literally any Business in your Network!!! Helping all organisations prepare for their digital future. Online subscription service that provides actionable market data, insight and a bespoke enquiry service. Backed by an established and respected industry analyst firm. Discovered Insights will help organisations of all sizes, industries and geographies, plan and prepare for amazing new opportunities presented by digital change. We have used this same data and insight to advise clients like IBM, Microsoft, Cisco, and HPE. 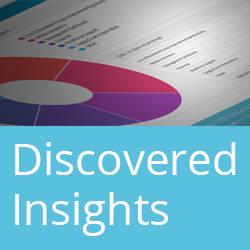 Discovered Insights makes it available to all. We're looking for agents with an established network. Our product is ideal across industries, organisations sizes, and business roles. Particularly beneficial will be existing relationships with people in executive roles, strategists, product marketers, customer support/experience, or sales. The product is focused on technology insight however customers do not have be in IT. It can be used by customers to support the case for procuring new IT products/services, that you may also be offering! Your role is critical to success and we want people that can work with us to continue to optimise the offering - to drive new sales, renewals, and potential value-add features that we can upsell and drive more revenue.